Engineered to deliver the highest level of business continuity possible, the Symmetra LX uses a modular, redundant architecture that can scale power and runtime as demand increases or when higher levels of availability are required. With built-in network manageability, and rack-optimized and tower models available from 4-16 kVA N+1 redundant, the online Symmetra LX is the choice to protect high-performance IT and Telecom equipment in business-critical server and network rooms. 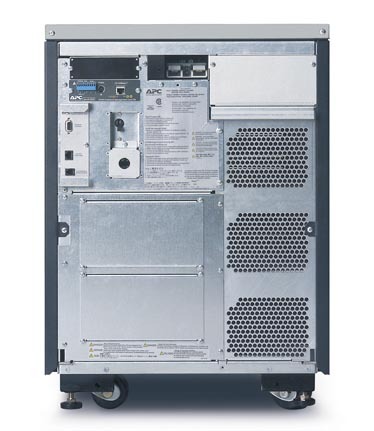 A flexible rack/stack design offers unmatched runtime and power capacity in space constrained environments. Symmetra LX allows incredibly fast upgrades and maintenance with virtually all of its parts contained in field-swappable components. These include hot-swappable, user-replaceable power, battery, and intelligence modules, management cards, LCD display, fans, and external battery frames. Additionally the wiring tray, frame electronics, receptacles, and casters can be swapped in minutes if necessary. Symmetra LX achieves industry-leading footprint or U-space needed in an equipment rack, increased speed and ease of deployment, and reduced repair time. Configurable for N+1 internal redundancy Provides high availabilty through redundancy by allowing configuration with one more Power Module than is necessary to support the connected load. Redundant Intelligence Modules Provides higher availability to the UPS connected loads by giving redundant communication paths to critical UPS functions. Hot-swappable intelligence modules Ensures clean, uninterrupted power to protected equipment during Intelligence Module replacement. 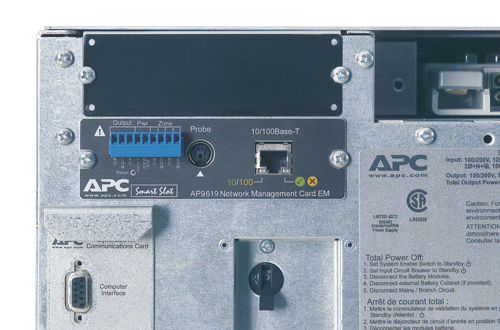 Hot-swappable power modules Ensures clean, uninterrupted power to protected equipment during Power Module replacement. Power Modules connected in parallel Enhances availability by allowing immediate, seamless recovery from isolated module failures. 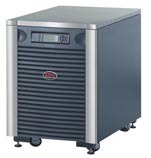 Scalable power capacity Reduces UPS over-sizing costs today by allowing quick upgrades later. Manageable external batteries Reduces preventative maintenance service needs by monitoring the health and status of the external batteries and their expected runtime. User-replaceable intelligence modules Enables simple upgrades and replacements of the Intelligence Modules. User-replaceable power modules Enables simple upgrades and replacements of the Power Modules. Removable input/output wiring tray Allows quick and easy installation and maintenance of the UPS.